Now offering the 9712UMD. 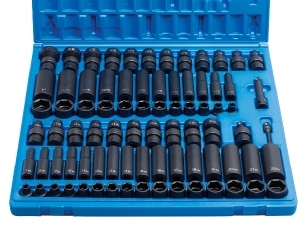 An Industry First 1/4" Drive Deep Metric Universal Impact Socket Set. 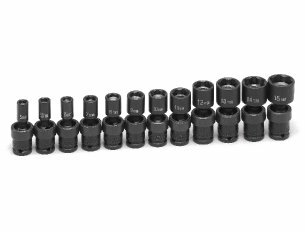 One of our most popular universal impact socket sets just got better! Now offering the 9712UMG featuring powerful magnets to securely hold any fastener. 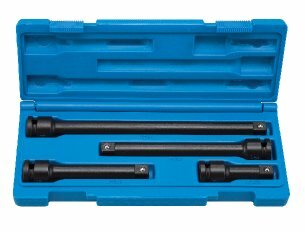 All New compact, low profile 3/8" and 1/2" Drive Impact Extension Sets. 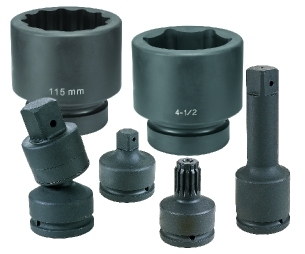 Our new 1281 Master Set includes the most popular 3/8" Drive, Fractional & Metric sockets and Universals. Using or selling Pneumatic, Electric or Hydraulic Torque Tools? Grey Pneumatic manufactures' and stocks the most complete line of large impact sockets and accessories for industry. Check out our 1", 1-1/2" or 2-1/2" drive socket lines which are available for immediate delivery. Don't settle for low quality imported sockets and tools. Grey Pneumatic (GP), through our distributors, supplies the world’s automotive, industrial, assembly, mining, maintenance, construction, and energy industries with heavy duty, high quality, impact and specialty sockets. 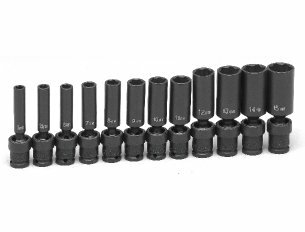 We carry a complete line of impact socket sets as well as individual sockets from 1/4" - 2-1/2" and #5 spline drive with hex sizes up to 8". We also offer a large selection of star impact drivers, impact hex drivers, triple square drivers, and torque limiting sockets. Use our professional photos of GP impact sockets and tools in your promotional materials. View all categories.